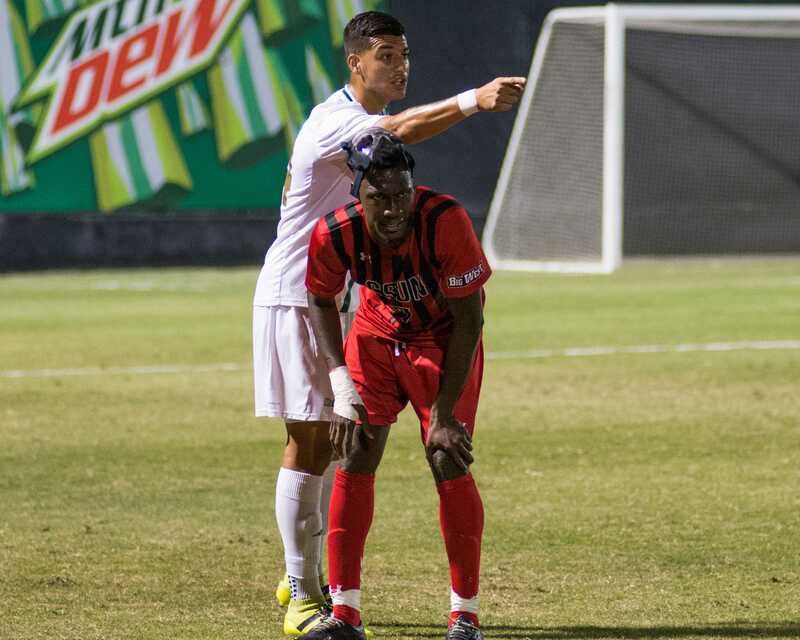 The Matadors defeated the Sacramento State Hornets in a penalty shootout to reach and host the final of the Big West tournament. The game was played in Matador Stadium with the stands flooded in red and the sounds of the vuvuzelas in the air. Going into the game, the winner would be a finalist in the Big West tournament and play against the winner between UC Santa Barbara and Cal State Fullerton. The Matadors enjoyed the energy of the crowd in a first half performance which gave them the edge on being the dominate team. The Matadors forced the Hornets into their own half of the field. CSUN’s dominance began after a 16th minute one-on-one save from the Big West goalkeeper of the year Kevin Marquez. After the save, the Matadors took control of the game creating plenty of scoring opportunities. Forward Papi Diouf had the clearest opportunity in the first half when he kicked nothing but the air in a volley attempt. Diouf saw a penalty claim waved off by the referee after he used a fake-out on his defender, which led to him throwing himself into Diouf’s body, dropping him in the penalty box. 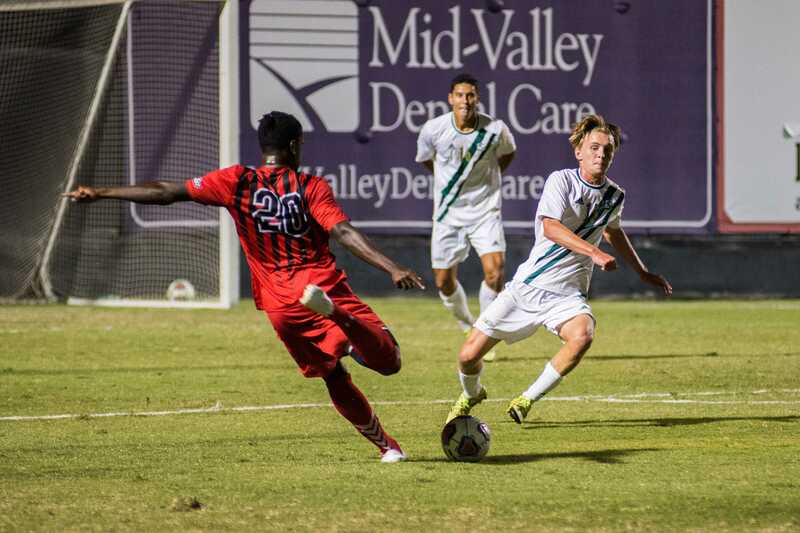 Midfielders Shane Steffes and Jeremy Degraffenreidt saw opportunities stopped by the Hornets keeper and defenders which kept the Matadors from claiming a goal to reward their dominating performance. CSUN’s Big West coach of the year Terry Davila said we had courage to forward the whole night and that this was a big game, a do or die situation. “They went for it and the ball didn’t bounce our way,” Davila said. The second half saw the Matadors lose control as the Hornets forced themselves back into the game. The Hornets were no longer playing defensive and began to go forward looking to upset the Matadors. Steffes gave Diouf a one-on-one position against the Hornets keeper, but saw him dribble too far forward, and the keeper was able to take away his chance at goal. Forward Emmanuel Usen Jr. took a shot from outside of the box which forced the keeper into a diving save. 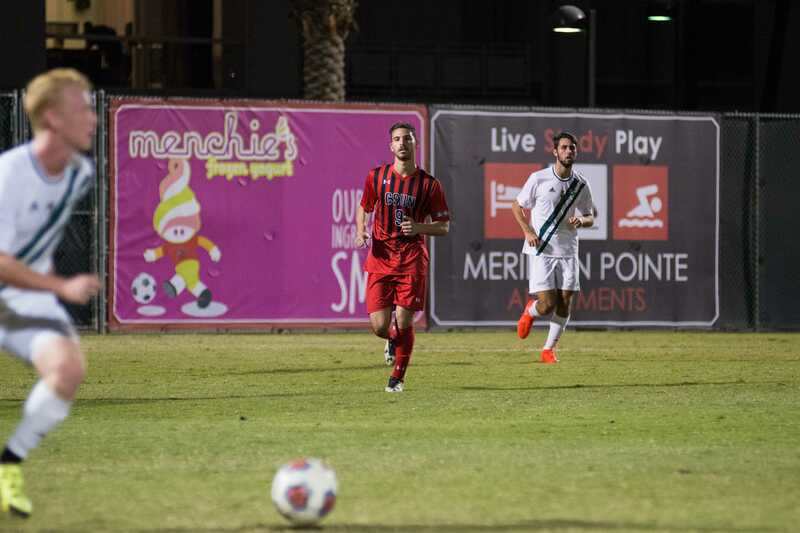 The Matadors could not score in the full 90 minutes and headed to golden goal overtime looking for a place in the final. 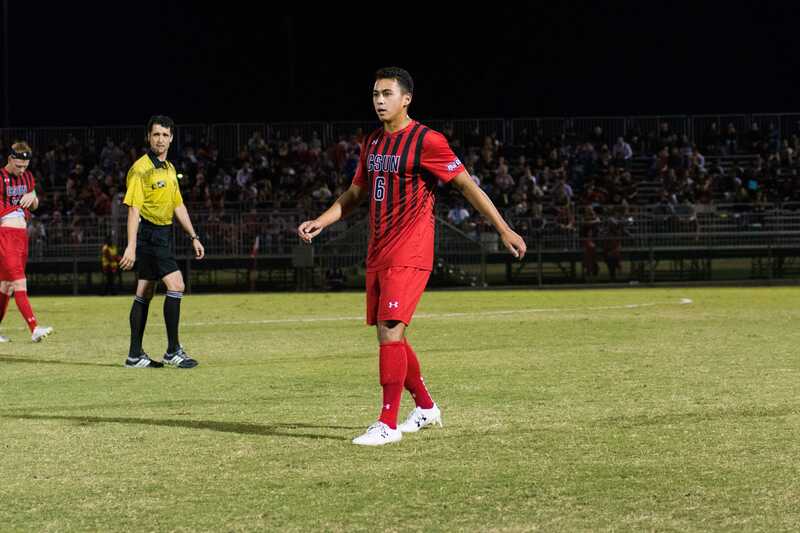 The Matadors saw only two scoring opportunities in the 20 minutes from defender Gabe Robinson, who sent a shot that rocked the top of the crossbar and Degraffenreidt, who had his shot saved by the keeper. 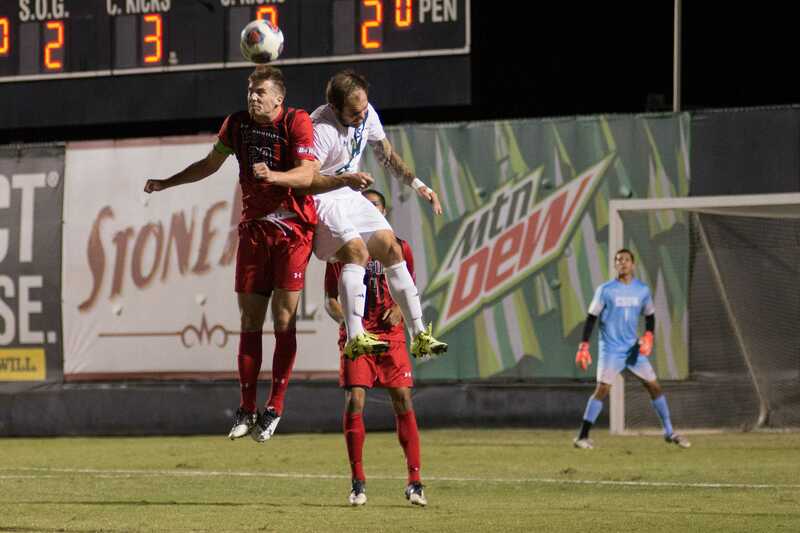 After playing 110 minutes, the Matadors and Hornets went into penalty kicks. The two teams saw their first five attempts beat the keepers, until Marquez was able to predict where the sixth attempt was headed. 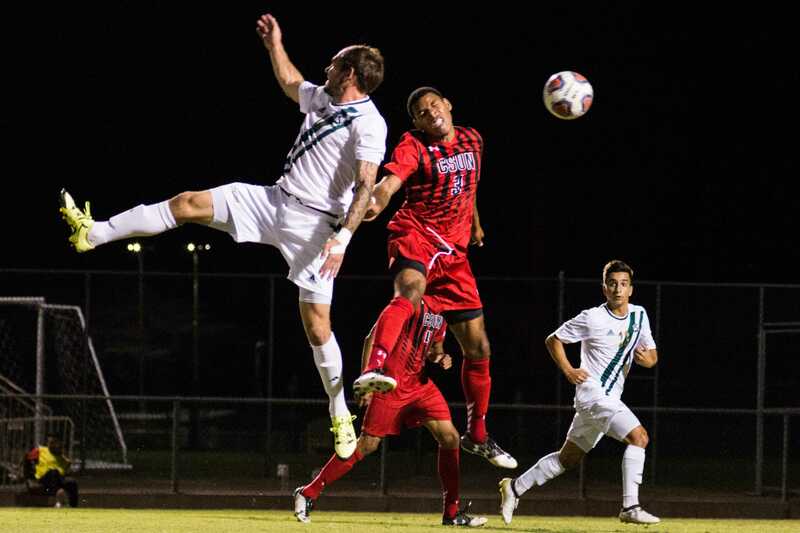 His save was against Big West defender of the year Patrick Hickman’s attempt. Hickman sent his shot to the lower left corner of the post as the keeper dove to the right, ending the game with a Matadors victory. When asked about the team’s perfect run in the penalty kicks, Hickman said we practiced them a lot this week knowing in a playoff game it could happen. “If we can make six [penalty kicks] out of six, we’ll take that every time, obviously,” Hickman said. When asked about playing the final at home against Fullerton, Marquez said it feels good to play in front of our home fans, families and friends on Saturday. “It’s my senior year, chance to win a championship, make NCAA and go as far as we can,” Marquez said. The Matadors will host the Big West tournament final against Cal St Fullerton on Saturday, Nov. 12 at 5 p.m.